Beyond the bureaucratic hurdles of setting up a business, the logistical and cultural challenges of finding, attracting and retaining employees and partners can be daunting in any country. A highly dynamic culture due to its very young population (more than 65% of the population is below 35 years of age) and tremendous diversity, the reader will benefit from reading this document on India written by an Indian interculturalist living in Bangalore, having co-started a company and built a young team. The author has also trained individuals from 19 different nationalities on working in India, including entrepreneurial delegations of Swissnex India, 20% of whom have successfully set up businesses in countries other than their own. The document gives pointers about finding the right employees and partners for your business, what their motivators are, what the ideal management style is and how to establish and maintain a relationship with the team. India is a land of contrasts - rule of thumb: NEVER ASSUME AND ALWAYS RECONFIRM. Even after reading this document and several others, it is recommended that you take the time to observe, ask and learn while in different localities in India. In India, generally, relationships trump merit and social status trumps relationships. An ideal boss in India is one that earns respect through merit while gaining the trust of his employees by taking care of them like family. A highly complex and often contrasting culture, India can be a confusing destination for most foreigners. With 1.3 billion people, 7 main religions, 23 officially recognised languages and various socio-economic strata, any general statement made about India and Indians can be at the same time true and frustratingly false. India is often referred to as a “cultural mosaic” that allows for diversity and where communities thrive while maintaining their cultural identities. Having a rich history of cultural influences from within and outside, the diversity is almost astounding in its overtness. It is a common sight to see a temple and a mosque or church side by side, sharing a wall sometimes (see attached picture). Schools in India celebrate every festival, and public holidays include the festivals of all main religions. It is common to see people speak two different languages to each other and make themselves understood perfectly. To the undiscerning eye, it may seem that India is a disarray of carelessly scattered cultural peculiarities, but when one looks closer, the ability of India to include is apparent - there is a place for everyone in this country, but to know that place is the cultural puzzle that one needs to solve to be a prominent piece in this mosaic. This cultural puzzle applies also to attracting and retaining employees and partners in a highly competitive business environment and starts with “knowing your place”. 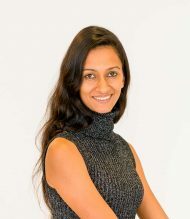 In the years following her entry into intercultural communications training, Divya has trained executives and students from more than 30 different countries including Germany, Austria, Switzerland, the Netherlands, Italy, Greece, Colombia, the United States, the United Kingdom, Morocco, Tanzania, China and India. Her work so far has also included training CXO’s and high-level managers from some of the biggest known global brands on expatriate assignments in India.